Kyle, a member of the QSY Society, was very active in the 2009 QSY Field Day, setting up an maintaining the networked logging system. He will be missed. Kyle Yancy, 44, a resident of Hopewell Junctionsince 2005 and formerly of Yonkers, died on Wednesday, January 4, 2012 at the Kaplan Family Hospice Residence following a long illness. Born in the Bronx on April 26, 1967, he was the son of Madeline Throckmorton of Whiting, NJ and the late John Yancy. Kyle was employed as a commercial real estate appraiser for Valuation Consultants in Newburgh. He was a member of Calvary Chapel of the Hudson Valley and the QSY Society Ham Radio Club. On April 23, 1998 in Yonkers, Kyle married Sharon Fairman who survives at home. He is also survived by his children, Kurt Bowen, Kimberly Yancy and Malaki Yancy; and his brothers, David and Mark Yancy. Calling hours were held on Sunday from 1-2pm at the McHoul Funeral Home Inc., 895 Route 82, Hopewell Junction followed by the service at 2pm with Rev. Robert Hargraves officiating. Interment will follow in Hopewell Cemetery. Memorial donations may be made to: Compassion International, Colorado Springs, CO 80997. For driving directions or online condolences, please visit http://www.mchoulfuneralhome.com. On March 31, ICE released the following statement concerning the company: “Industrial Communication Engineers (ICE), Ltd, its employees and the Indianapolis Amateur Radio community mourn the passing of company founder Mike Koss, W9SU, on March 28, 2011. Due to Mike’s sudden and unexpected death, ICE has temporarily suspended accepting new orders. We are in the process of reorganizing the company, as well as identifying and fulfilling current open orders and products returned for repair. We appreciate your patience and understanding during this transition period. Linda S. Ferdinand N2YL CHATHAM, NY – Linda S. (McLarnon) Ferdinand, age 63 years, of North Chatham, NY, died May 4, 2010 at Tufts Medical Center, Boston, Mass. Born May 11, 1946 in Brooklyn, NY, she was the daughter of the late Barbara A. (Turan) McLarnon. Funeral services will take place on Friday, May 7, 2010, at The Medway Congregational Christian Church, at 1:00 p.m. with Pastor Matthew Marlow officiating. A calling hour will take place at the church from noon to 1:00. Burial will take place in The Medway Christian Cemetery, Climax, NY, following the service. She is survived by her husband of 41 years, Gary J. Ferdinand of North Chatham, a son Brian J. Ferdinand of Rensselaer, NY, a daughter Lauren Michelle and husband Jay Ferdinand-Intagliata, of San Jose, CA, a brother Gary J. and wife Peggy McLarnon of Earlton, NY, two grandchildren Evan Ferdinand of Rensselaer, and Jackson Ferdinand-Intagliata of San Jose, CA, her uncle Robert M. Turan of Earlton NY and her niece Colleen McLarnon Wilkinson of Greenville, NY. Prior to her retirement she was a computer systems analyst at I.B.M. in Poughkeepsie, NY, a life member and director of The American Radio Relay League and held the Ham Radio Call Sign of N2YL, as well as being a world expert in Morse code, an avid quilter and a lover of cats. Funeral arrangements under the direction of W.C. Brady’s Sons, Inc. Funeral Home, 97 Mansion Street, Coxsackie, NY. In lieu of flowers, contributions may be made in Linda’s memory to Animal Lovers, PO Box 6426, Albany, NY, 12206, telephone number 518-448-5468, or e-mail http://www.animalovers.empireone.net. 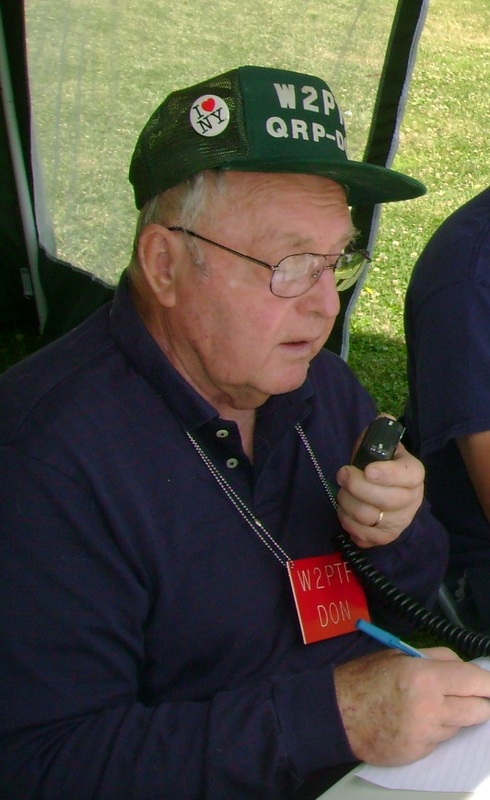 The Poughkeepsie club (PARC) used her callsign, N2YL for many years at their Field Day.